The holidays are the time to eat, drink and be merry, but too much "merriment" can be detrimental to your healthy lifestyle! 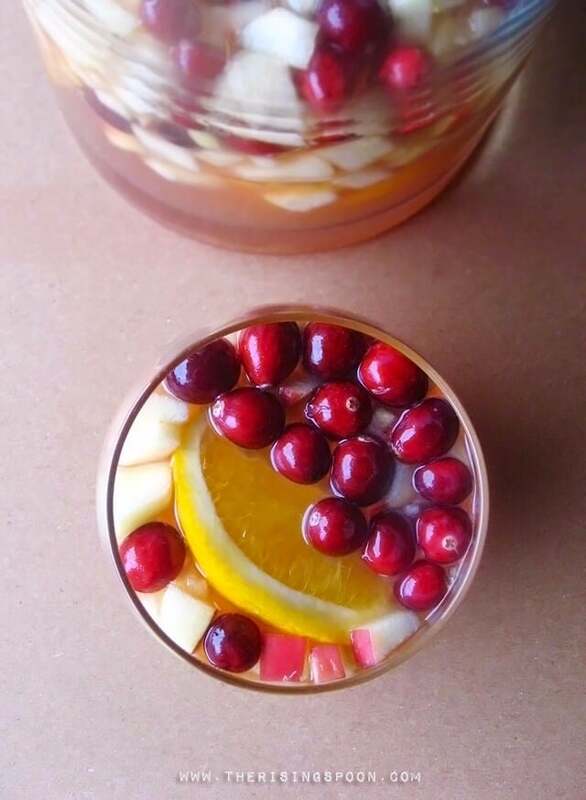 While we've got you covered for healthier holiday treats, what about healthier holiday cocktails? Raise your glass to high spirits this holiday season. 1. Skinny Eggnog: Traditional eggnogs contain tons of calories and fats, but our recipe has a fraction of those and still tastes delicious! Click here for the recipe. 2. White Wine Sangria: This beautiful sangria will impress all your holiday guests this year! Check it out here. Prairie Organic Gin: This gin is made with organic corn and crisp, clean ingredients, so you know you're getting the best quality. If you're more of a vodka fan, they've got that as well! Check out Prairie Spirits here. Fair Trade Quinoa Vodka: Just when you thought quinoa couldn't get any better, you learn that it can be made into vodka? Happy holidaze to you! Makers of this vodka make sure that the farmers who harvest the quinoa are treated fairly, and they also use organic quinoa and sugar cane to ensure high quality. Get more info here. Casa Noble Tequila: This Mexican tequila distillery uses blue agave plants that have been matured for at least 10 years to produce this organic tequila. Plus, Carlos Santana is their spokesperson; that's close enough to Santa, right? Check it out here. Crusoe Organic Rum: This distillery first used traditional ingredients, but switched to organic when they found that organic ingredients make the end product taste better! This rum is distilled from organic molasses and is full of spices like allspice, cinnamon, cloves, nutmeg and vanilla. Check it out here.